I am an avid scrapbooker. I began when my first daughter was born, and realized how ephemeral our wealth of digital photos really was. Since then, we’ve had hard drive failures, toddlers spilling coffee on laptops, and a number of international moves. These days, I think of the scrapbooks as a physical backup of the memories we’ve worked so hard to photograph. One of the biggest challenges, though, of documenting memories on paper, as opposed to digitally, is the space and weight scrapbooking supplies take up in our home. This year, the holidays are falling during pack out, home leave, consultations, and our arrival in Jerusalem. 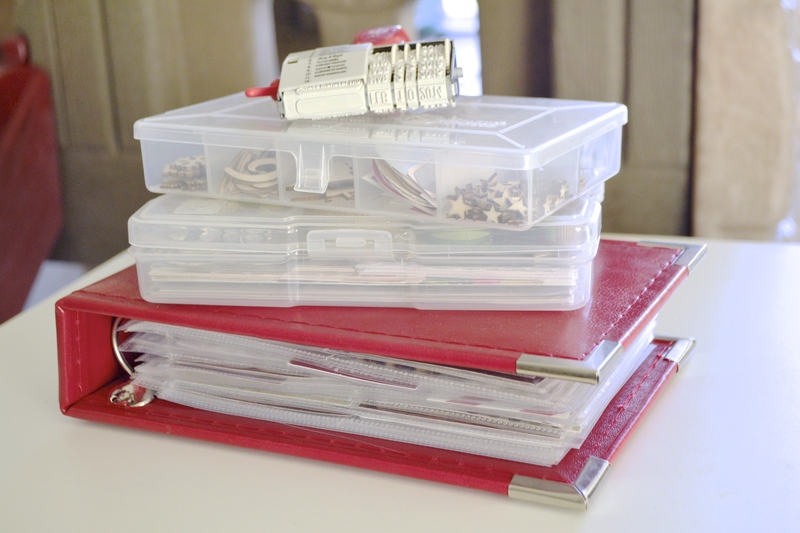 There’s no space for me to lug my scrap stash along with me so that I can document the period between Thanksgiving and the New Year in a “traditional” scrapbook. Instead, I created a small kit and an album base that will, hopefully, let me concentrate on taking photos (with my phone! ), and journaling the stories we create as a family this holiday season. It’s small, it’s light, and the whole kit fits in my carryon. Next Post We made it to Jerusalem! Here’s a photo dump of our adventures!